Emma Lee Raines sees dead people. As if that “gift” will impress classmates at her upcoming ten-year high school reunion in Sleepy Hollow, Kentucky. Proprietor of the Eternal Slumber Funeral Home, Emma Lee can see, hear, and talk to ghosts of murdered folks. 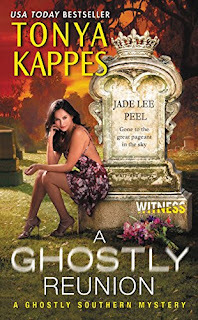 And when her high school nemesis is found dead, Jade Lee Peel is the same old mean girl—trying to come between Emma Lee and her hot boyfriend, Sheriff Jack Henry Ross, all over again. But the last thing Jade Lee wants is to leave town where she had her glory days. And the more Emma Lee investigates on her own, the more complicated Miss Popularity turns out to be. Now Emma Lee will have to work extra closely with her hunky lawman to get to the twisty truth. A murder in a garden shed turns the four new owners of Yon Bonnie Books into amateur detectives, in a captivating new cozy mystery novel from Molly MacRae. 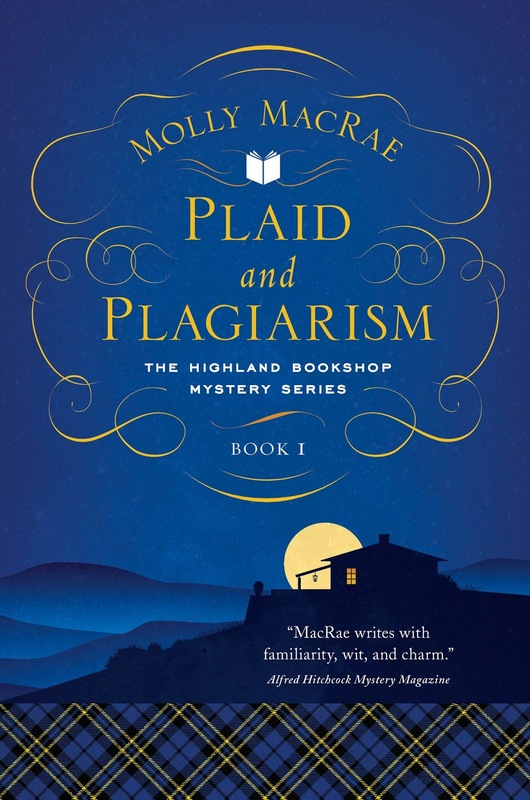 Set in the weeks before the annual Inversgail Literature Festival in Scotland, Plaid and Plagiarism begins on a morning shortly after the four women take possession of their bookshop in the Highlands. Unfortunately, the move to Inversgail hasn’t gone as smoothly as they’d planned. A delightful and deadly new novel about recognizing one’s strengths and weakness―while also trying to open a new book shop―Plaid and Plagiarism is the start of an entertaining new Scottish mystery series. 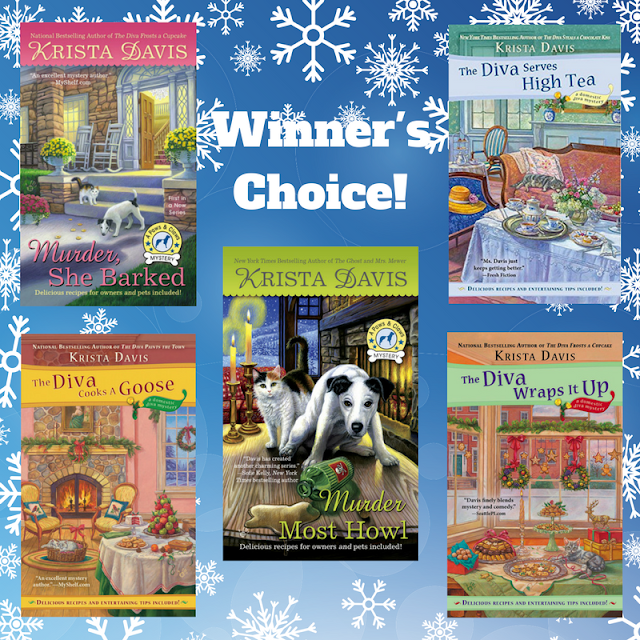 Continuing with our Happy Holiday Giveaway of a book a day, Krista Davis is giving away a book today! The winner gets to chose which book he or she would prefer. Just leave a comment here with your email address to enter! Good Luck! Krista, this is so awesome! Thank you for the chance at winning! What a great giveaway! It will be hard to choose. Happy Holidays to every one! Thank you for the chance to win a book. They all look interesting. Thanks for the chance. All fabulous books. Merry Christmas. Thank you for this opportunity. They all look like good books. Decisions decisions! Love cozy books! Especially with cats and dogs :) Thank you for the chance! Thank you for the giveaway. All the covers are awesome by the way. So many good cozies, so little time to read them all. Thanks for the contest. Love these giveaways even though I never win. Thank you. I love the Diva series. Need to check out the Paws series. Hope to win. Looks like some great books tbr!! Thanks, Krista for the giveaway chance. Love the titles. these are new series for me. Would love any of them. thanks. I love all these authors. Such great stories. Would love to read any one of these. Thanks for the chance. Happy December! So many fun new books to read. I would love to win any of these. Thanks for the chance. This is so nice ! peggy clayton ptclayton2@aol.com I would love to read any of them and review them on a few sites. You are awesome!!!!!! kyleandemily92@yahoo.com Christy R.
And a chance for one of Krista Davis' books, too. Awesome giveaway! Love Krista Davis. Thank you (Merci beaucoup) for this opportunity. I enjoy reading your books! I love all these books and authors....and to Krista? I am a big fan enjoying many of your books. Thanks. great chance to win some really good books! thanks! All the books are great must pick one only. This must be cozy heaven!! I love Krysta Davis! My book club is reading The Diva Cooks a Goose this month. Thanks for having this awesome give-away! All of these books sound great. Thanks for the chance! Thanks for a chance to win one! Yay! A new book to read! Congrats to everyone who has a new book out this month! They all look great, and I plan to read them all. My thanks to Krista for the chance to win one of her books! Thanks for the chance to win! I love Christmas themed books! Thanks for the heads up on the new releases, lots of great new books coming soon. Really enjoy Krista's books and thanks for the great giveaway. Would love to win one I am always needing new books!!! I so enjoy cozies. Thanks for this opportunity. Thank you for the chance to win one of Krista Davis's books. All of the books look amazing. Thank You!! Great cozy books. The Diva series peeks my interest! 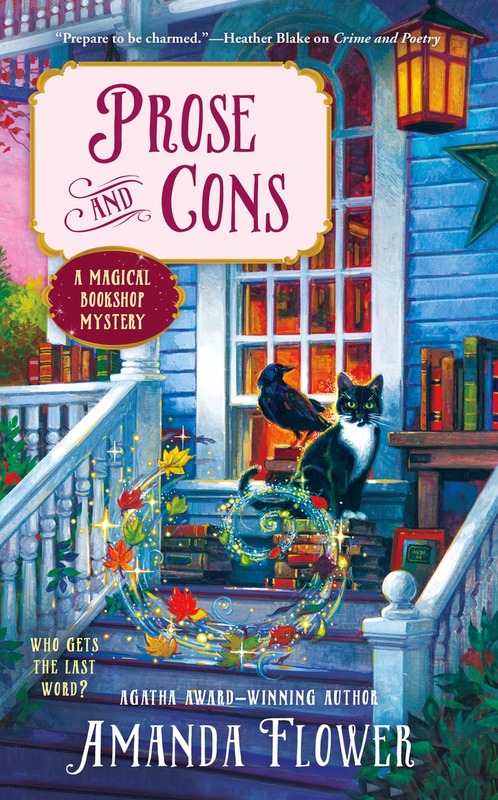 I am looking forward to reading Prose and Cons (I just finished reading the first book in this series). I will have to check out the Ghostly Southern Mystery Series and The Highland Bookshop Mysteries for both series sound like great reads. Thank you so much for the giveaway for I am a fan of Krista Davis' books. 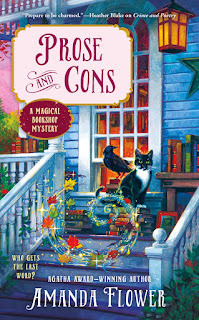 I have just discovered "Cozy" mysteries! I would love to read any of them! Thanks for the chance to get an early Christmas gift! How gracious to offer choice. Would make win a challenge to decide. Thank you for gracious offer. Win will make for a challenge of decision. Blessings of the season.